Taipei Chef is on a quiet suburban street, with a few other retail outlets around. It is a fairly tiny capacity restaurant, with two small sections to it, plus the counter and kitchen. 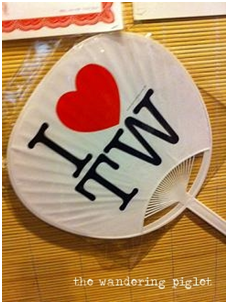 I noticed they do a lot of take-away orders. I think it’s best to try book at least one or two days in advance. Their food is very satisfying, full of flavour, and always comes out fresh, hearty, piping-hot and very well-cooked. 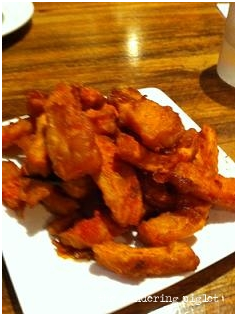 The deep-fried sweet potato chips are a good entree if you enter Taipei Chef rather ravenous from waiting for a table. The smoked chicken is exceptional value, it’s $10 a plate, for a decent sized serving and fleshy, tender, flavour-packed chicken flesh. The pork belly was also lovely, succulent and the sauce with its balance-of-flavours goes really well with rice. 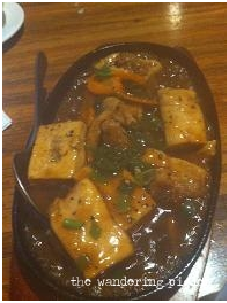 The sizzling plate of tofu stuffed with mince is yummy as well. 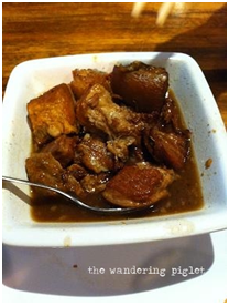 The beancurd soaks up all the gravy, again another great dish to eat with rice. I’d also recommend the long beans with mince meat. Overall great hearty, homestyle cooking. Very worthwhile and good value for money.